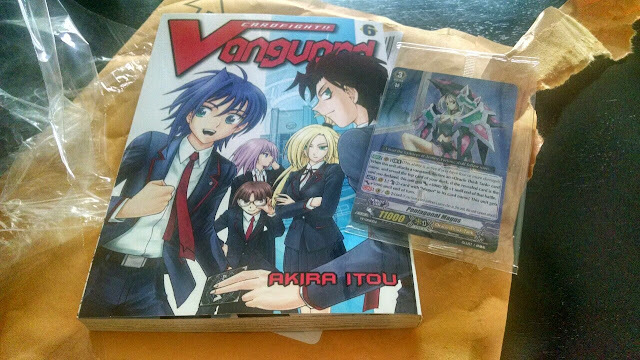 Today shipments of Vertical Inc.'s Cardfight!! Vanguard Volume 6 went out to retailers and those that preordered the volume through Amazon . Like its Japanese counterpart, the sixth volume is packaged with a promotional card, Tokura Misaki's Pentagonal Magus. This volume corresponds to the beginning and middle of the Link Joker arc of the anime, introducing Tatsunagi Kourin and Miyaji Academy. 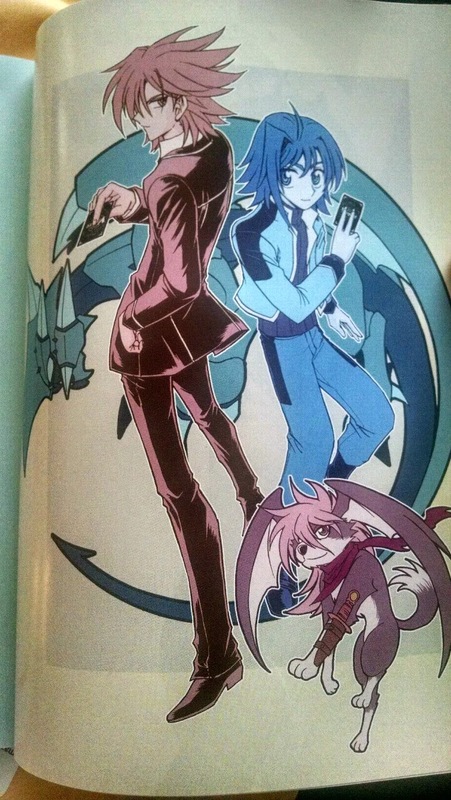 The interior cover contains rare illustrations by franchise creator Itou Akira, of Kai Toshiki and Sendou Aichi with Vortex Dragon and Wingal. Volume 7 will go on sale August 25th 2015, and will star Suzugamori Ren with his Gust Blaster Dragon deck. Gust Blaster is likewise expected to be the promo for the volume, following with the Japanese release structure. Readers can preorder volume 7 through Amazon .